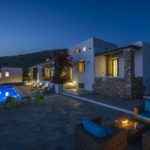 Based on traditional Cycladic architecture, this white washed house was carefully designed and built by its owners, laying on a 1-hectare property (10,000 m2). 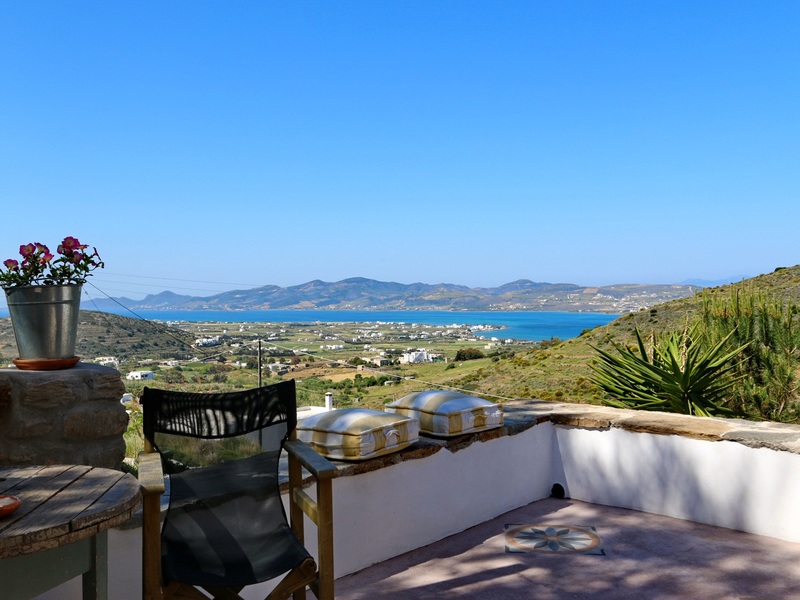 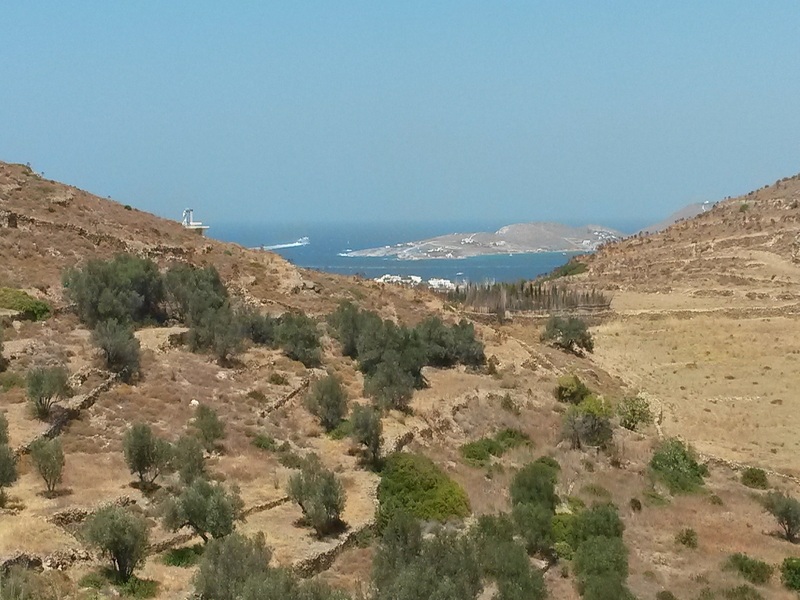 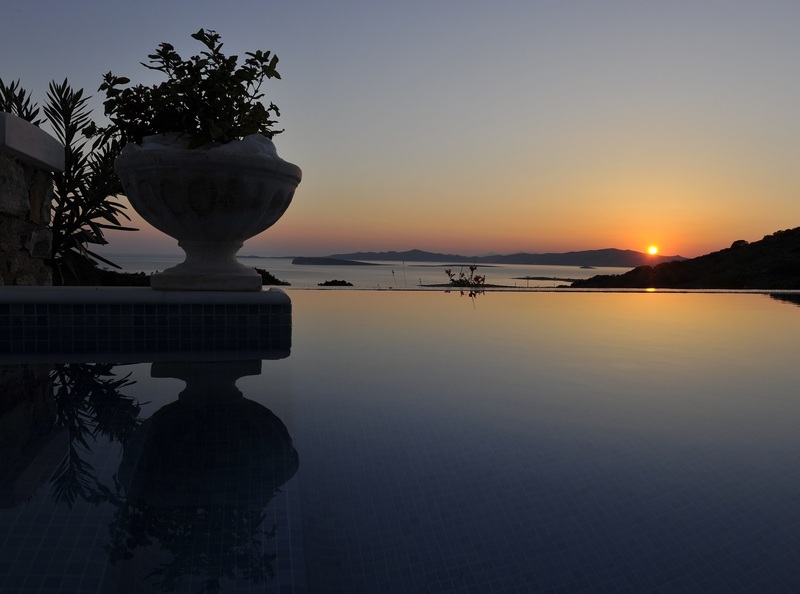 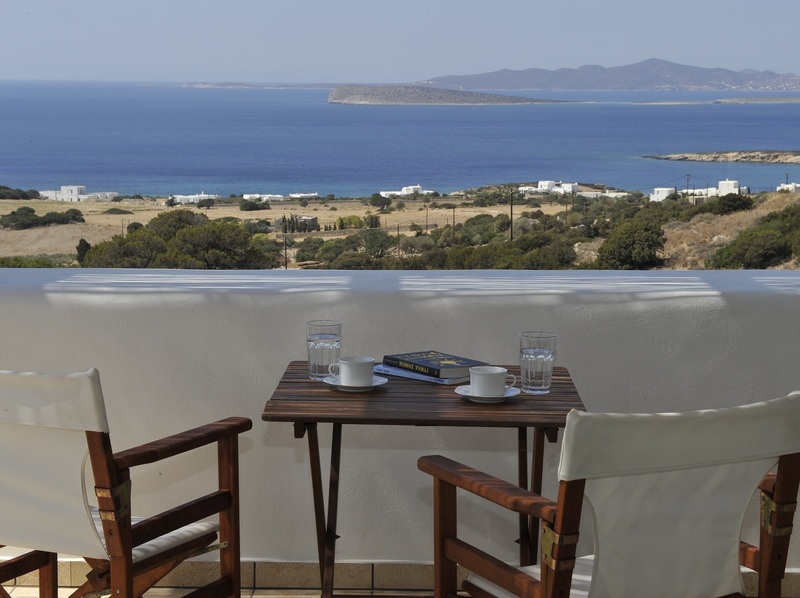 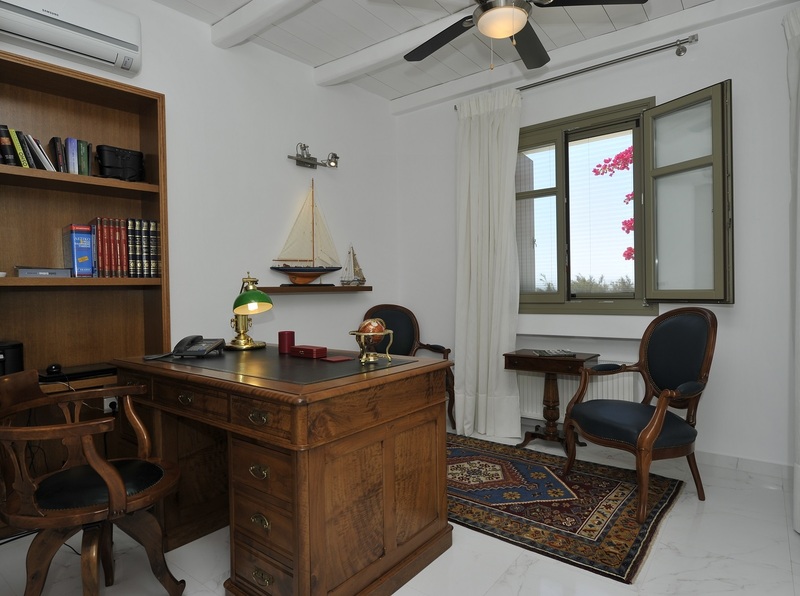 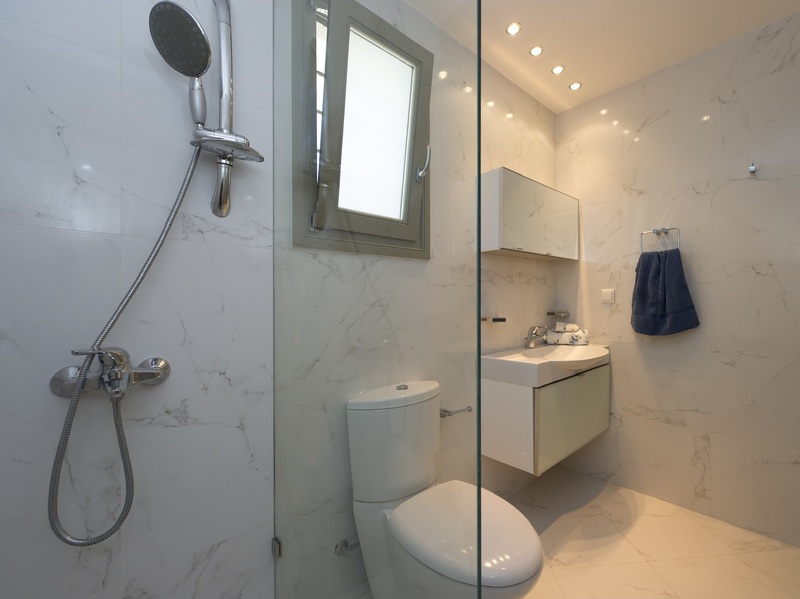 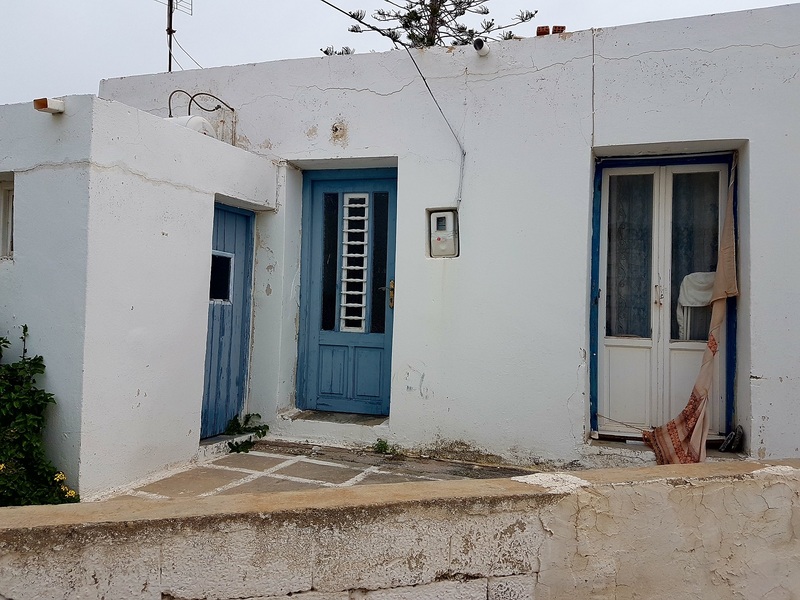 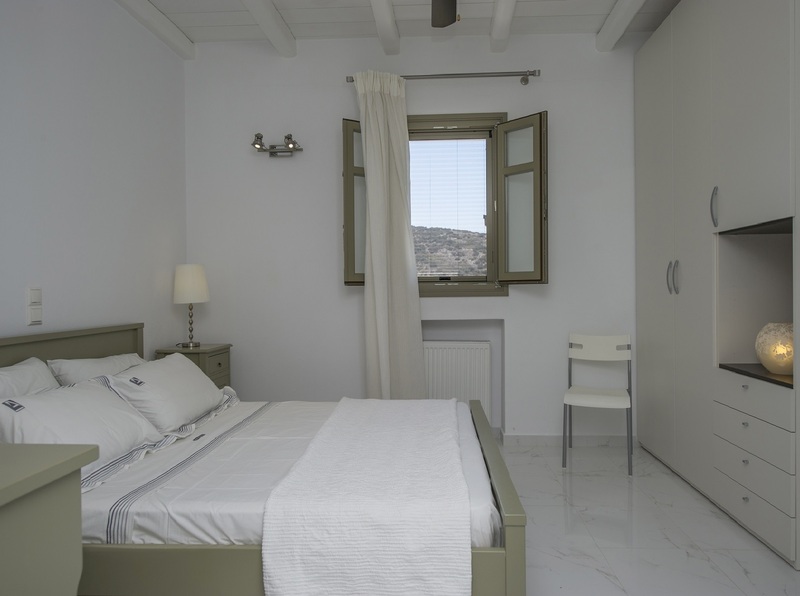 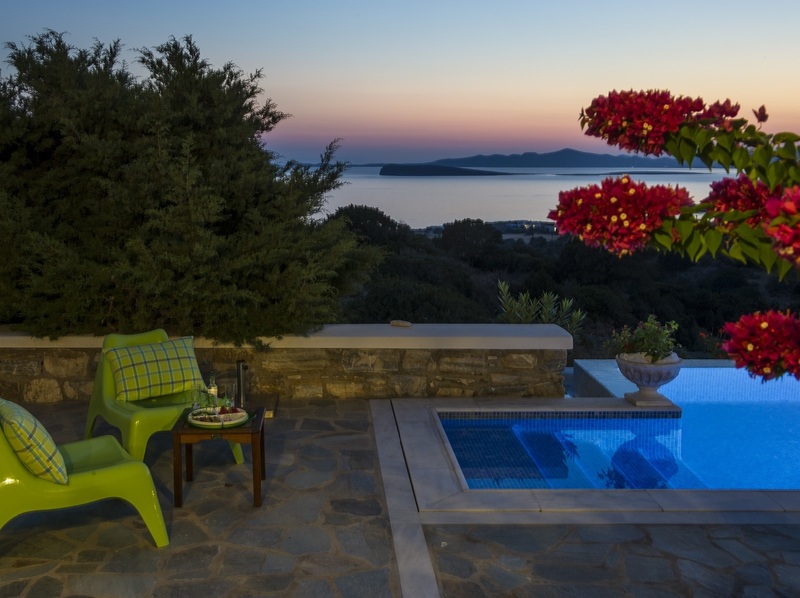 It is located on a hillside overlooking Farangas Bay, on the southern part of Paros Island . 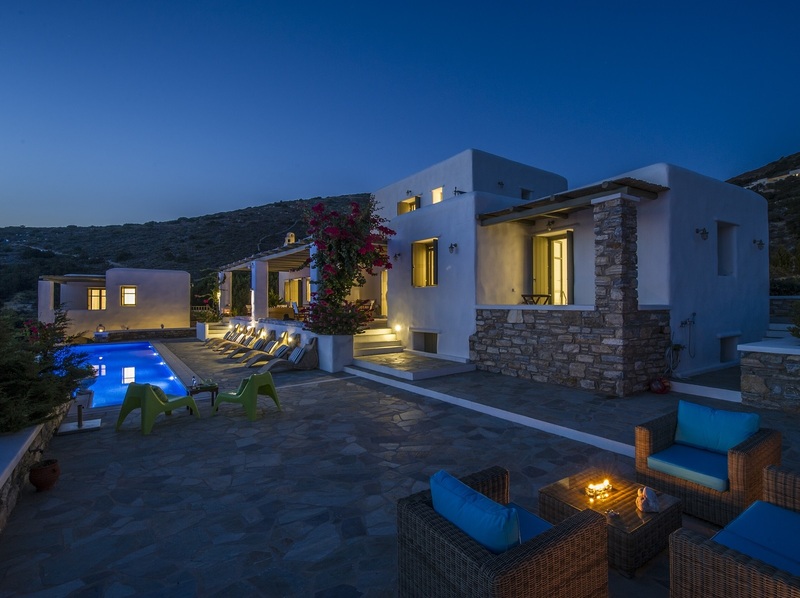 The villa consists of the Main House and two independent Guest Houses. 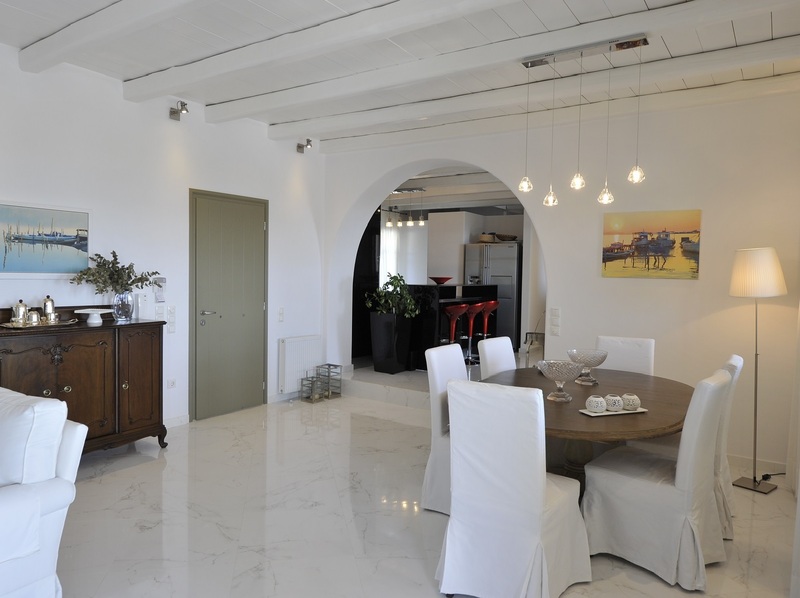 The Main House: 340 m2 on 3 levels and Guest Houses: upper and lower level, 50 m2 each.. 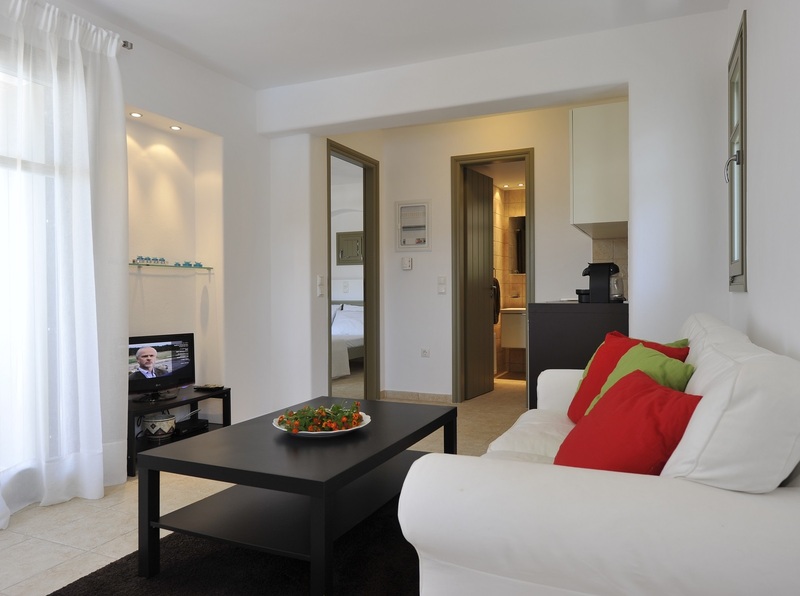 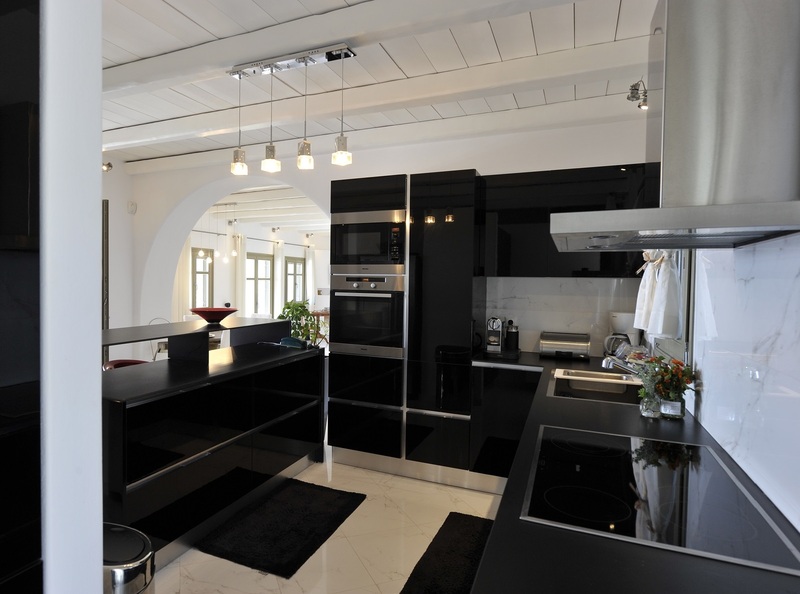 Kitchen: Fully equipped; electric ceramic stove, electric oven, microwave oven, electric kettle, Nespresso and French filter coffee maker, blender, food mixer, electric lemon juicer, toaster, sandwich maker, 2 refrigerators/freezer ( 1 with embedded ice water/dispenser), dishwasher, garbage disposal, recycle bin.